For millennia, farmers have saved seeds from season to season. Genetically engineered seeds have completely altered the agricultural landscape, as these seeds are patented, which means farmers must purchase new seed for each planting season and are not allowed to share or save any of the seed. Doing so equates to patent infringement, and Monsanto has become notorious for tracking down and prosecuting farmers who end up with patented crops in their fields without having paid the prerequisite fees—even when their conventional or organic crops are contaminated by unwanted genetically engineered (GE) seed spread by wind or pollinating insects from neighboring farms that grow GE crops. To do this, Monsanto relies on a shadowy army of private investigators and agents who secretly videotape and photograph farmers, store owners, and co-ops. They infiltrate community meetings, and gather information from informants about farming activities. Some Monsanto agents pretend to be surveyors. Others confront farmers on their land and try to pressure them to sign papers giving Monsanto access to their private records. Farmers call them the “seed police” and use words such as “Gestapo” and “Mafia” to describe their tactics. For nearly all of its history the United States Patent and Trademark Office refused to grant patents on seeds, viewing them as life-forms with too many variables to be patented. But in 1980 the U.S. Supreme Court allowed for seed patents in a five-to-four decision, laying the groundwork for a handful of corporations to begin taking control of the world’s food supply. Since the 1980s, Monsanto has become the world leader in genetic engineering and modification of seeds; many, if not most of which are “Roundup Ready,” meaning they can withstand otherwise lethal doses of the herbicide Roundup, also created and sold by Monsanto. The new Monsanto-funded safety research actually used the French team’s original research to debunk the evidence that Roundup could have human or environmental safety issues. And that didn’t sit well with the French team, which was so angered they wrote a detailed response to Monsanto’s article, accusing the researchers of minimalizing the French group’s work and publishing misleading information. One of the Monsanto-backed team’s major flaws was their total disregard for the scientific context within which their glysphosate research was performed―namely, the DNA-damaging and carcinogenic potential of the chemical. “Therefore, regarding the considerable amount of glyphosate-based product sprayed worldwide, the concentration of Roundup in every single micro droplet is far above the threshold concentration that would activate the cell cycle checkpoint. (2) The effects we demonstrate were obtained by a short exposure time (minutes) of the cells to glyphosate-based products, and nothing excludes that prolonged exposure to lower doses may also have effects. The French court noted that Roundup’s main ingredient, glyphosate, is in fact dangerous for the environment and toxic for aquatic organisms. But that’s just one example of the lies Monsanto tells to keep on selling its products; this company has a long history of fraudulent statements about the safety of Roundup. They long used the slogans, “It’s Safer than Mowing,” “Biodegradable,” and “Environmentally Friendly” to describe their product—until the real effects of this toxic herbicide were revealed and they were forced to discontinue their deceptive advertising. You also cannot rely on government agencies to keep you safe from harmful genetically engineered foods. No, over the years, Monsanto has successfully infiltrated an ever increasing number of high-level federal regulatory positions in the U.S. government; many of which are positions meant to protectyour food safety. Making matters even more complicated, not to mention more dire in terms of human health, Monsanto is also deeply entrenched with the pharmaceutical industry. Few people ever make the connection between genetically engineered crops and the sale of drugs, but there are strong financial ties between these two industries. In 1995, The Upjohn Company—a pharmaceutical company founded in Michigan—merged with the Swedish pharmaceutical and biotech company Pharmacia AB, to form Pharmacia & Upjohn. In 2000, Pharmacia & Upjohn merged with Monsanto Company, at which time the name was changed to Pharmacia. The drug divisions, including Monsanto’s old Searle drug division, were retained in Pharmacia, while the agricultural divisions became a wholly owned subsidiary of Pharmacia. A short while later, Pharmacia spun off this agricultural/biotech subsidiary into a “new Monsanto” company. Pfizer then bought Pharmacia 2002, and today also owns the remainder of Upjohn. Bayer has also acquired certain assets. As you can see, the past and present connections between all of these mega-corporations are dizzying in their complexity. When you consider the health hazards of genetically engineered foods, it’s easy to recognize why you’d want to have a stake in the pharmaceutical industry as well, since drugs are the primary form of healthcare offered by conventional medicine today! I believe genetically engineered food is one of the most significant challenges to your future health. And, the drug industry is one of the primary driving forces for the traditional paradigm, which focuses on the treating symptoms with expensive band-aids, so you get sicker and sicker and require more of their self-serving expensive drug solutions to relieve your symptoms. Put these two health disasters together – where one is feeding the profits of the other—and the picture becomes bleak indeed. Labeling genetically engineered foods is likely the best shot we have at stopping the unchecked proliferation of genetically engineered foods in the US. We strongly support state initiatives, such as California’s 2012 ballot initiative to require genetically engineered foods sold in the state to be labeled. Many still don’t fully appreciate this strategy. What you need to consider is that large food companies would likely refuse to have dual labeling; one for California and another for the rest of the country. It would be very expensive, not to mention a logistical and PR nightmare. To avoid the dual labeling, many would likely opt to not use genetically engineered ingredients in their product, especially if the new label would be the equivalent of a skull and crossbones label. This is why we are so committed to this initiative, as victory here will likely eliminate most genetically engineered foods from the rest of the US as well. To start, please print out and use the Non-GMO Shopping Guide, created by the Institute for Responsible Technology (IRT). Share it with your friends and family, and post it to your social networks. You can also download a free iPhone application, available in the iTunes store. You can find it by searching for ShopNoGMO in the applications. Your BEST strategy, however, is to simply buy USDA 100% Organic products whenever possible, (as these do not permit genetically engineered ingredients) or buy whole fresh produce and meat from local farmers. The majority of the genetically engineered organisms (GMOs) you’re exposed to are via processed foods, so by cooking from scratch with whole foods, you can be sure you’re not inadvertently consuming something laced with altered ingredients. When you do purchase processed food, avoid products containing anything related to corn or soy that are not 100 percent organic, as any foods containing these two non-organic ingredients are virtually guaranteed to contain genetically engineered ingredients, as well as toxic herbicide residues. herbicides 2,4,5-T, DDT – The use of DDT in the U.S. was banned by Congress in 1972, due in large efforts to environmentalists, who persisted in the challenge put forth by Rachel Carson and her book Silent Spring in 1962, which sought to inform the public of the side effects associated with the insecticide. later, Monsanto conducted the first field tests of genetically engineered crops. seed was unknowingly sown by wind carrying the seeds from neighboring crops, a claim rejected in Monsanto Canada Inc. v. Schmeiser. They have fought against labeling GMO foods (‘cause they don’t want you know you are eating), and they are actively trying to put small farmers out of business. In some instances, they have even caused the death of thousands of farmers, literally! This cable also proves that NaturalNews has been right all along about the GMO conspiracy, and that GMO opponents such as Jeffrey Smith are battling what can only be called an evil conspiracy to control the world’s food supply. It also proves that when Alex Jones talks about the global conspiracy to control the world food supply, he’s not just ranting. He’s warning about the reality of the world in which we now live. Do you notice something about these words used by the US ambassador to France? “Calibrate a target retaliation list” sounds eerily familiar, doesn’t it? It’s the kind of language you might find tossed around in a military bombing war exercise. That’s no coincidence: These government operatives quite literally consider themselves to be at war with the world, and they intend to conquer the world with their genetically modified poisons. They will do anything, it seems, to force-feed their deadly crops to the public. Realization #1) Wikileaks is valuable for exposing the government lies in our world. Without Wikileaks, we never would have known about these cables which prove the existence of this GMO conspiracy. Realization #3) The US is willing to retaliate against European countries if they try to block GMOs. This brings up the question: Why is the US so desperate to push GMOs on Europe? Clearly there is another agenda behind all this (maybe we’ll learn more in future Wikileaks releases). Realization #4) No wonder the US government has declared war on Wikileaks because these dark secrets and “conspiracy notes” are never made public through any normal means. It takes a whistleblower to expose the true government corruption taking place in our world today. Realization #5) The GMO conspiracy reaches to the highest levels of global control. This US ambassador Stapleton wasn’t just a nobody. He was, in fact, the co-owner of the Texas Rangers with former President George W. Bush! His wife, by the way, is George Bush’s cousin. This is a conspiracy involving the highest-ranking officials across multiple countries who are pushing a GMO agenda that’s poisoning people across the planet. All this gives science a bad name, of course, but I suppose that since the history of science is filled with arrogant scientists poisoning people in the name of science (mercury, vaccines, radiation, plastics, medications, etc. ), we shouldn’t be all that surprised to observe this. Realization #8) Spain has been a key co-conspirator to push the U.S. GMO agenda. Much of the conspiring taking place in the EU has been spearheaded by Spain, whose officials met personally with the head of Monsanto to plot their push of GMOs into Europe. 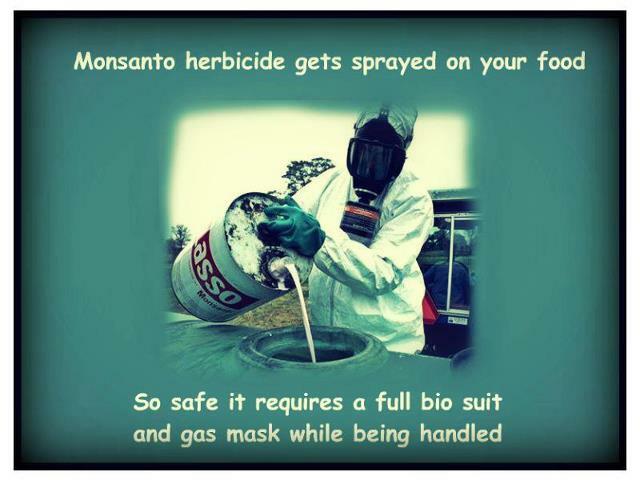 Monsanto vehemently denied the allegation. I looked hard at covering that story at the time but could not substantiate the accusations to my satisfaction. However, given the new information gleaned from these leaked diplomatic cables — which blatantly state that the GMO conspirators plan to “calibrate a target retaliation list” — all of a sudden the Blackwater story adds up. This is the verbage of a military-style retaliation campaign, and that’s exactly the business of Blackwater. Remember how Stapleton said the US needed to “cause some pain?” That’s Blackwater’s calling card! Although these cables don’t prove any connection between Monsanto and Blackwater, they do lend credence to the idea that such a link is not only possibly, but perhaps even probable. It clearly deserves additional investigation. Regardless of whether the Blackwater / Monsanto link is ever proven, what’s crystal clear from all this is that the global GMO conspiracy is very real and that GMO conspirators plot retaliatory actions against any nation that refuses to allow GMOs into their country. The whole thing is then disguised as “science” so that anyone who opposes it can be branded as “non-scientific.” This is the same sick way in which vaccines are pushed, too: They’re called “scientific” even when they’re based entirely on scientific fraud (as are GMOs). Above all, what these Wikileaks cables really reveal is that government conspiracies are, of course, not only real but that they are taking place right now. Diplomats and ambassadors are, in effect, government thugs who engage in the most unethical actions, full of threats and retaliation, in order to serve the financial interests of their corporate masters. That’s how the world really works, despite the Disney-like image portrayed by the mainstream media. 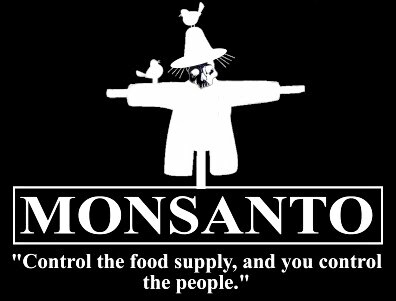 Behind the scenes, the U.S. government is literally plotting with Monsanto to take over the world’s food supply. That is not an exaggeration. It’s not conjecture. It is a statement of fact based on the words of the government’s own operatives (who obviously didn’t know their words would ever be made public). Personally, I can’t wait to see what other dark secrets are buried in these Wikileaks cables. And it all makes me wish we had a Wikileaks for the FDA, too. Can you imagine all the dirty secrets that would come out of the FDA’s offices if we could read their emails? We need an FDA leaker. The other thought that comes to mind is how much I wouldn’t want to be Julian Assange right now. His head is now the world’s most powerful bullet magnet… especially when government rifles are anywhere nearby. If the U.S. government would conspire to create a “retaliation target list” of nations that are merely resisting GMOs, can you imagine what they will do if they ever get their hands on Assange? Don’t let all this get you down. You can take action to help turn this around! Action Item #1) Don’t buy GMO foods! Look for the non-GMO “Project Verified” label on foods. Action Item #2) Urge lawmakers to oppose GMOs or require honest GMO labeling of foods. Action Item #3) Help support the Institute for Responsible Technology and other non-profits working to oppose GMOs. Action Item #4) Stay informed! Read NaturalNews and our Facebook GMO Dangers page (www.facebook.com/GMO.dangers) to stay up on this issue. The IRT (above) will keep you even more deeply informed on GMOs. Action Item #5) Share what you know! Share videos, cartoons, articles and websites with your friends and family members who also care about protecting their health from GMOs. Action Item #6) Don’t trust the government! They are pushing a GMO conspiracy. They don’t want you to have natural food, and the FDA is now being unleashed under the new food safety bill to destroy small farmers who tend to use non-GMO crops. Fight against government encroachment of our natural right to grow honest food. Support food freedom! Spread the word! Educate yourself and your friends about the dangers of GMOs. Just say NO to GMOs.